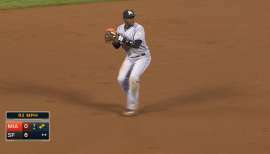 Draft: 2000, Texas Rangers, 8th rd. July 11, 2016 RHP Nick Masset retired. December 19, 2015 RHP Nick Masset assigned to Syracuse Chiefs. 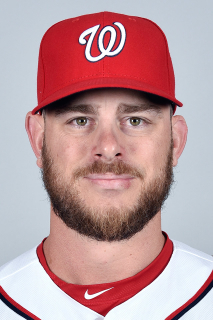 December 15, 2015 Washington Nationals signed free agent RHP Nick Masset to a minor league contract and invited him to spring training. 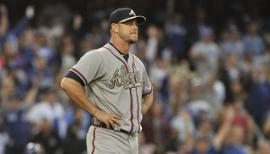 July 7, 2015 Atlanta Braves released RHP Nick Masset. 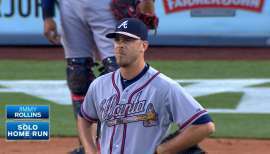 July 6, 2015 Atlanta Braves designated RHP Nick Masset for assignment. May 19, 2015 Atlanta Braves signed free agent RHP Nick Masset. 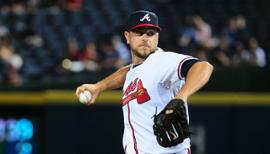 May 19, 2015 Atlanta Braves activated RHP Nick Masset. May 18, 2015 Miami Marlins sent RHP Nick Masset outright to New Orleans Zephyrs. May 17, 2015 Miami Marlins designated Nick Masset for assignment. April 21, 2015 Miami Marlins selected the contract of RHP Nick Masset from New Orleans Zephyrs. April 8, 2015 RHP Nick Masset assigned to New Orleans Zephyrs. April 1, 2015 Miami Marlins signed free agent RHP Nick Masset to a minor league contract. March 31, 2015 Miami Marlins released RHP Nick Masset. January 21, 2015 RHP Nick Masset assigned to New Orleans Zephyrs. January 12, 2015 Miami Marlins signed free agent RHP Nick Masset to a minor league contract and invited him to spring training. October 30, 2014 RHP Nick Masset elected free agency. July 21, 2014 Colorado Rockies activated RHP Nick Masset from the 15-day disabled list. July 20, 2014 Colorado Rockies sent RHP Nick Masset on a rehab assignment to Colorado Springs Sky Sox. May 5, 2014 Colorado Rockies selected the contract of RHP Nick Masset from Colorado Springs Sky Sox. April 11, 2014 RHP Nick Masset assigned to Colorado Springs Sky Sox. February 4, 2014 Colorado Rockies signed free agent RHP Nick Masset to a minor league contract and invited him to spring training. October 31, 2013 Cincinnati Reds activated RHP Nick Masset from the 60-day disabled list. March 31, 2013 Cincinnati Reds placed RHP Nick Masset on the 15-day disabled list retroactive to March 22, 2013. Recovering from September 2012 right shoulder surgery. March 22, 2013 Cincinnati Reds transferred RHP Nick Masset from the 15-day disabled list to the 60-day disabled list. Recovering from September 2012 right shoulder surgery. March 22, 2013 Nick Masset roster status changed by Cincinnati Reds. October 30, 2012 Cincinnati Reds activated RHP Nick Masset from the 60-day disabled list. August 5, 2012 sent RHP Nick Masset on a rehab assignment to Louisville Bats. August 2, 2012 AZL Reds sent RHP Nick Masset on a rehab assignment to Dayton Dragons. July 27, 2012 Nick Masset assigned to AZL Reds. June 15, 2012 Cincinnati Reds transferred RHP Nick Masset from the 15-day disabled list to the 60-day disabled list. April 4, 2012 Cincinnati Reds placed RHP Nick Masset on the 15-day disabled list retroactive to March 26, 2012. Sore right shoulder. May 26, 2009 Cincinnati Reds activated RHP Nick Masset from the 15-day disabled list. May 19, 2009 Cincinnati Reds placed RHP Nick Masset on the 15-day disabled list retroactive to May 11, 2009. Strained left oblique.